His introduction to hockey started out on a pair of backyard ponds and ultimately brought him to the sport’s biggest stage. 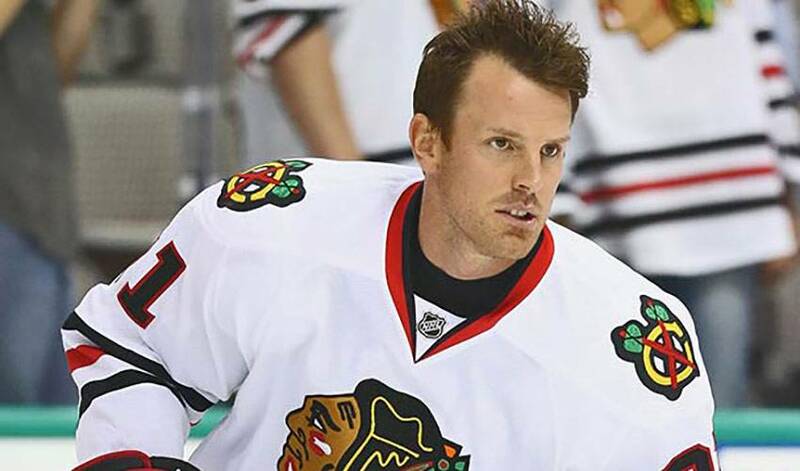 For Brad Richards, now in his 14th big-league campaign, his love of the game has always remained the same. Don’t ask Richards, now 34, how many hours he spent blasting pucks against his parents’ basement wall or working on his skills outside his grandparents’ home in his native Prince Edward Island. There’s just no way the centreman could even estimate the amount of time he dedicated to his stickhandling and skating. That affinity for the sport never diminished even as the demands increased. When Richards left home in 1996 to play for Notre Dame of the Saskatchewan Junior Hockey League, he carried the hopes of Murray Harbour residents and his dream of working towards an NHL career. After a remarkable junior career and outstanding success in his NHL life, Richards still has a childlike fondness for the sport, relishing every moment he’s on the ice. Closing in on 1,000 games, Richards, currently in his first season with the Chicago Blackhawks, is still a driven performer, a veteran on a talent-heavy team looking to bring the city its’ sixth championship. With a Memorial Cup championship in 1999-2000, a slew of individual awards during his time in the Quebec Major Junior Hockey League (QMJHL), including Canadian Hockey League (CHL) Player of the Year, QMJHL Most Valuable Player and CHL’s Top Scorer, along with his name engraved on the Stanley Cup and Conn Smythe Trophy (both in 2004), Richards has plenty to be proud of. For now, though, looking back can wait. He’s focused on the here and now, appreciating the game the way he always has. Brad Richards is announcing his retirement today from the National Hockey League (NHL), following a decorated career that spanned 15 seasons.